⛳ Golf & Grow 2-player shamble, low gross tournament at Lookout Mountain Golf Club. Claiming the highest elevated tee box in they valley, Lookout Mountain expertly maintains its reputation for great course conditions. Register online as a single, or a team of 2,3, or 4 and compete for on- & off-course prizes. Enjoy a free beer at the post-round awards happy hour. Shot-forgiving 2-player shamble format. FORMAT: 18-holes, 2-player shamble, without handicaps, with a low gross-score winner. Groups will play in foursomes, 9-minute intervals, and reverse shotgun start. All four players tee off and then select the best drive. Both teams drop at the best drive (or their own tee shot if preferred). From the second shot in, each team plays a 2-player scramble to finish the hole. Each team member hits, then chooses which ball to play. The other player picks up and drops from the chosen ball. Repeat until the ball is holed. Play entire hole as a 2-player scramble. No shared tee shots. Each team member hits then chooses which ball to play. The other player picks up and drops from the chosen ball. Repeat until the ball is holed. TIES: In the event multiple teams post identical low gross scores, the winner will be determined by a scorecard playoff of the "low gross score" for the #1 handicap hole, continuing to #2 handicap hole, etc., until the tie is broken. ELIGIBILITY: Open to all Golf & Grow members, their guests and non-members. No handicap required. To establish a handicap index, click here. WITHDRAWAL POLICY: Up to seven days prior to the tournament, players may withdraw from a tournament and receive a full refund by completing the withdrawal process on the tournament website, calling the Golf & Grow office at (469) 712-4653, or sending an email to info@golfandgrow.com. Zero refunds will be issued within 3 days of the tournament, regardless of the reason for withdrawing. 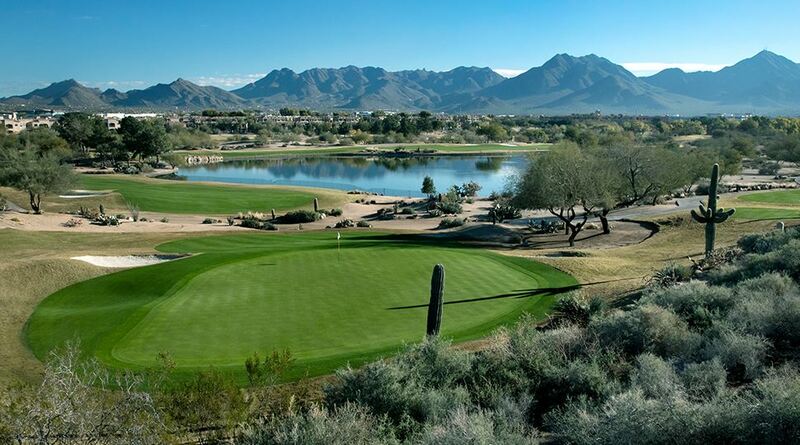 Golf & Grow Open is a 2-day, low net, individual stroke play tournament at the prestigious Troon North & Wickenburg Ranch golf courses the Friday & Saturday following the USGA's US Open. An established handicap index number must be proven or player will play to a zero handicap. To establish a handicap index click here. FORMAT: 36-hole stroke play Golf & Grow Open, played over two consecutive days (Friday–Saturday) with a low net score winner. TIES: In the event multiple players post identical low net scores, winner will be determined by a scorecard playoff of the "low gross score" for the #1 handicap hole, continuing to #2 handicap hole, etc., until the tie is broken. Any unearned skins will be awarded to first place winner. Groups will play in foursomes, 9-minute intervals, off No. 1 tees of both the Troon North Monument course & Wickenburg Big Wick course. ELIGIBILITY: All players must have an active USGA Handicap Index in order to participate, or player will play to a zero handicap. To establish a handicap index click here. WITHDRAWAL POLICY: Prior to the entry deadline, players may withdraw from a tournament and receive a full refund by completing the withdrawal process on the tournament website, calling the Golf & Grow office at (469) 712-4653, or sending an email to info@golfandgrow.com. Zero refunds will be issued within 7 days prior to the tournament, regardless of the reason for withdrawing. Challenging: The best way to describe the expansive fairways & large, undulating putting greens on the Palmer Signature Course. 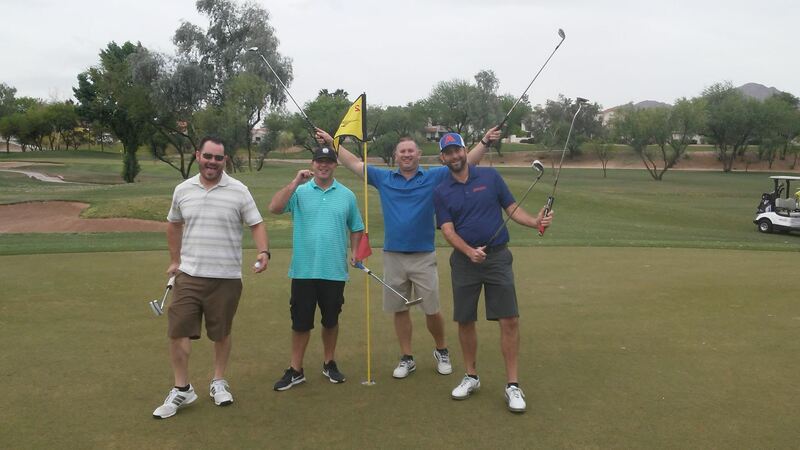 TPC Scottsdale Champions Course was crafted to balance strategy with design, so as not to favor any one type of play – providing golfers of all skill levels with a challenging experience that can be significantly different each time they play. Meticulously maintained, the Cholla course is recognized as the quintessential target style desert golf course.